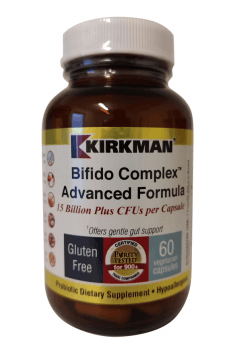 Bifido Complex Advanced Formula 60 caps. To ensure efficacy of probiotic formulas, they must meet specific requirements. The most important thing is that all names of bacterial strains in the supplement are described because only these strains are subject to studies and thus characterised by their health benefits. To optimise efficacy of the product, take it during or just after a meal. Take preferably one capsule daily during a meal or snack.